At the same time, the melting of the ice of Greenland and Antarctica is not fully taken into account in modern climate models, as it will lead to even more destabilization of the regional climate. Both studies on this are published in the journal Nature. The melting of the ice sheets of Greenland and Antarctica is considered one of the most dangerous global consequences of climate change caused by human activity, which will lead to an increase in the level of the World Ocean. There are very significant reserves of ice, and the rate of its melting has increased in recent years. However, the range of estimates of the speed of this process in the future and the final rise in the level of the oceans is quite large. So, in 2016, in one of the works, it was assumed that by 2100 due to the sharp destruction of the Antarctic ice sheet, the level of the World Ocean could rise by a meter or more. In the first study, Tamzin Edwards from King’s College London and her colleagues question this prediction. 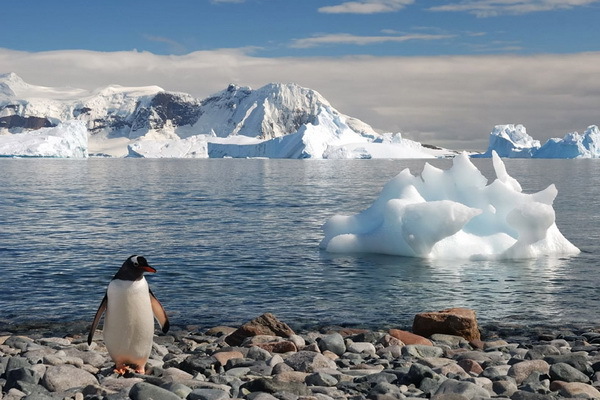 According to Edwards, who is quoted by the college press service, scientists re-analyzed data on ice loss and ocean level 3 million years ago, 125 thousand years ago and in the last 25 years and estimated the likelihood of rapid destruction of unstable sea areas of Antarctic glaciers, which the authors 2016 was associated with a meter increase in the level of the oceans. The hypothesis of such destruction received the abbreviated name MICI (marine ice cliff instability). They found that MICI does not necessarily explain the dynamics of sea level in the past, and without this the probability that the level will grow by more than 39 centimeters by 2100 is only about 5 percent. Edwards notes that in their model, even if the Antarctic glaciers really will collapse rapidly, the maximum increase in sea level will not exceed half a meter, and the most likely growth will be 14-15 cm. At the same time, scientists cannot completely eliminate the MICI phenomenon: they only talk about that more research is needed in this area. In the second article, Edwards and Nick Golledge of Queen Victoria University in Wellington and their co-authors write that current climate models do not fully take into account the consequences of the destruction of the ice of Greenland and the Antarctic, which will slow down the Atlantic Ocean and further melt the Antarctic ice due to “locking” of warm water in the Southern Ocean (climatologists call such self-enhancing processes positive feedback processes). In addition, according to the authors of the article, the melting of ice in the warming scenario of 3-4 degrees compared with the middle of the XIX century will lead to a less predictable climate and an increase in the scale of extreme weather events. Why Is Energy Efficiency Important In The Maritime Sector? The earth is hollow, nd extra water just flow inside to find its least energy state anyway. Observed sea level rise is due to thermal expansion / subsidence only.